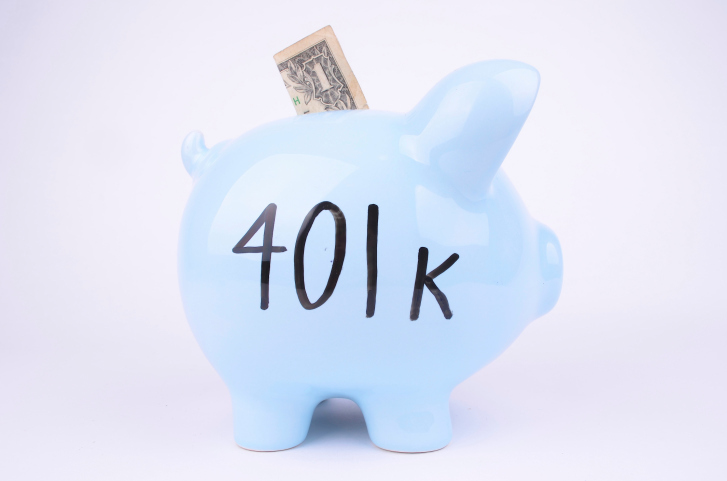 Are you (or your clients) missing out on the Roth 401(k)? Many people don't know they have an option between traditional and Roth 401(k). (Bloomberg Business) — More and more workers have a choice in their retirement plan — to put their savings in a traditional 401(k) or a Roth 401(k) . The problem: Many people don’t know they have this option, and those who do often don’t have any idea which to pick. As a result, very few workers are choosing the Roth 401(k), even though many could benefit from it. Of the 1,900 employers offering 401(k) plans through Vanguard Group, 56 percent give employees access to a Roth 401(k), up from 42 percent in 2010. Large companies are likeliest to offer Roths, so more than 2.3 million workers in Vanguard plans, almost two-thirds of the total, have access to Roth 401(k)s. But new Vanguard data show just 14 percent of them are using a Roth, a number that’s slowly risen from 9 percent in 2010. With a traditional 401(k), you pay no taxes on contributions. Instead, you pay taxes when you withdraw the money in retirement. A Roth reverses that: There’s no tax break on contributions, but all withdrawals — including any investment gains — are tax-free. Deciding between a Roth and a traditional 401(k) isn’t easy, and even experts disagree on how helpful Roths are. “Situations vary so much that it’s hard to make blanket statements,” said James Choi, a finance professor at the Yale School of Management. That said, a Roth plan offers advantages for many retirement savers. It’s generally a more flexible tool than a traditional 401(k), for example. And, for many younger and lower-paid workers, a Roth plan is a no-brainer. “More people should be using it,” Vanguard senior research analyst Jean Young said. A Roth makes little sense for certain higher-paid, older workers. They’re paying high tax rates now, and a traditional 401(k) gives them a break. A Roth also doesn’t work well for workers who didn’t plan well for retirement. If you’ll be poorer in retirement, your taxes will be low then anyway. While you’re still working, you might as well take the traditional 401(k)’s tax break and save as much as you can in it. Pro: Flexibility in retirement. The wealthy can still benefit from a Roth 401(k), because of the flexibility it offers. For example, a retired couple wants to splurge on a $40,000 round-the-world cruise. If they take that money from a traditional retirement account, they’ll need to pay taxes on it. That one-time expense may bump them up to a higher tax bracket. But any withdrawals from a Roth 401(k) are tax-free, so retirees can cover big expenses without worrying about the tax consequences. No one knows for sure what the U.S. tax system will look like in five years. Predicting tax rates in 30 or 40 years is just about impossible. Roth plans could end up being a bad deal if lawmakers eventually lower income tax rates and replace them with value-added or sales taxes. Roths would become a better deal, though, if the income tax burden on seniors goes up. The higher income taxes are on retirees, the more benefit a Roth account provides; the lower they are, the more a traditional plan makes sense. If you withdraw money from a traditional 401(k) plan before you turn 59 and a half, you pay both taxes and a 10 percent penalty. There’s no penalty for withdrawals from a Roth 401(k), as long as you take back only the amount of your original contribution and leave any earnings in the 401(k). That can make a Roth account valuable in emergencies or if you retire early. Workers under age 50 can save up to $18,000 in a 401(k) account every year. Past age 50, they can save an extra $6,000. Companies match their employees’ contributions to retirement plans in dozens of different ways. But generally, the more an employee contributes, the more an employer kicks in. And, because it’s easier to save in pre-tax dollars than in post-tax dollars, it may be possible to get more matching dollars out of your employer with a traditional account.